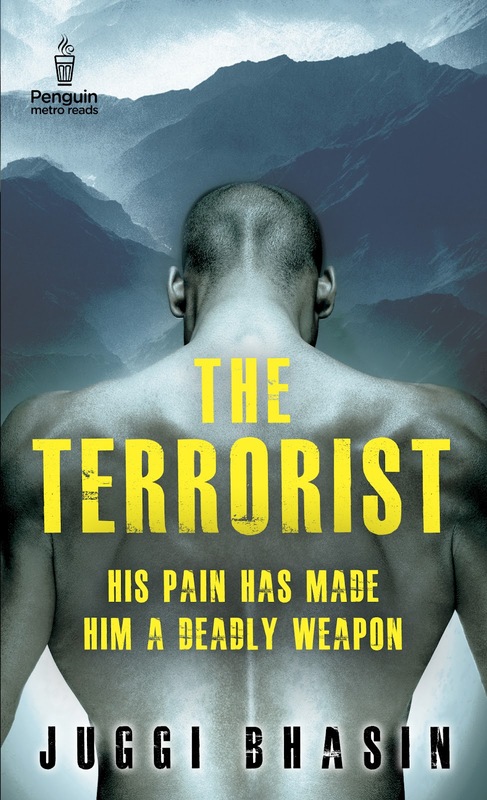 BACK COVER SAYS: "When you are trained to endure the harshest of climates, the most hostile of situations, to survive where no ordinary man can- there's little difference between you and the terrorist you are trying to kill. Little, except which side you are on. " The debut novel (and the first book in the trilogy) by journalist turned author Juggi Bhasin comes as a breath of fresh air. The background and plot of this book is starkly different from its contemporaries. As is evident from the very title of the book, its central concern is the terrorist, his mindset, his actions and the reasons behind it. What I really appreciate is the fact that the author has decided to bring up a subject revolving around the insurgencies, the fanaticism and terrorism that has been gnawing the nation for quite some time now. The scars of the Mumbai blasts of 26/11 and the entire routine of Ajmal Kasab’s case are fresh in the minds of every Indian. The book comes at a very appropriate time to shake us out of our complacency and make us think about the current affairs of the nation. The author’s expertise, experience and great amount of research is clearly reflected in the picturesque descriptions of places and incidents. The attention paid to the meticulous details of the plans, the scenes is remarkable. The author’s direct experience as a journalist covering the Babri Masjid demolition comes in handy here. The incident of the blast at the Srinagar office of Lt General Pratap Singh Aulakh is spine chilling (the author has mentioned in an interview that it is drawn from a real incident that took place in Kashmir). Be it the training quarters or the Kashmir valleys, the settings are perfectly drawn to provide an entire movie watching experience for the readers. The author has actually mentioned that he had written the book with a dream of seeing it come to life as a Bollywood motion picture someday. I would love to see the same happening. Another remarkable thing about the book is the sketching of the characters which is done to perfection. The author delves deep into the social and psychological backgrounds of the two protagonists, Suvir and Murad. Both of them have justifiable reasons for all their actions. Suvir’s troubled personal life (which is told in flashback mode during his debriefing session); his search for his own identity has turned him into what he is now. On the other hand, the immense amount of insensitivity and injustice met by the political situations of the country to those of his religion has led Murad into turning himself into the most feared of terrorists. One cannot help but sympathize and identify to both the characters at some level. The final confrontation between the two, one on a mission to destroy and the other on a mission to deploy it is a treat for action lovers. 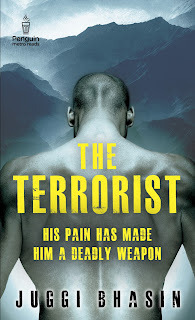 The Terrorist has everything that is required to make a great thriller that captivates the readers and keeps them hooked till the very last page. A brilliant plot, amazingly detailed descriptions, wonderfully analyzed characters of the two protagonists and an extremely well executed story, the book has all the ingredients. An amazing debut novel, this book is a must read. Am eagerly waiting for the other two in the series to come out. Neat ! And if the review be trusted , which i do ;) I think i will enjoy this one ..